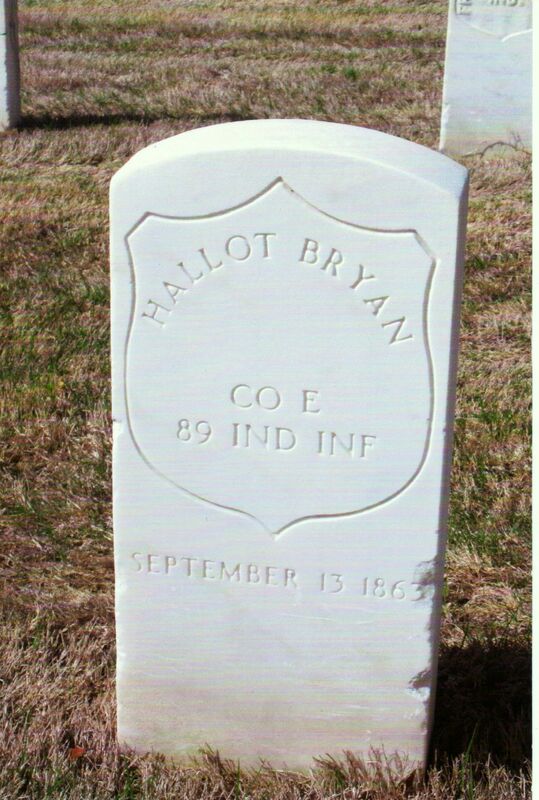 Hallot was a younger brother of my great-great-great-grandfather John Bryan. John was the father of Emily Bryan, who married William Reid. William and Emily were the parents of my great-grandmother Pearl (Reid) Brewster. I was already familiar with this unusual first name because Hallot’s brother John named one of his sons Hallet. Hallet [the younger, 1853-1936] was a brother to Emily (Bryan) Reid and that is why the name Hallet may sound familiar to other Bryan researchers in the family. Hallot, subject of today’s post, was an uncle to the younger Hallet. They lived near each other and probably knew each other well. I have seen his name spelled several ways—Hallot, Hallet, and Hallat. 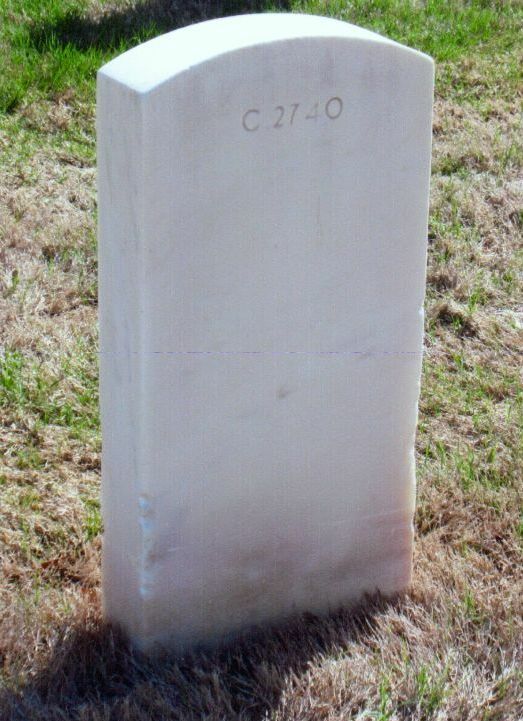 Since it is inscribed as Hallot on his tombstone I will use that spelling for this post. The Peter Bryan family moved to Jay County, Indiana, shortly after the 1850 census was enumerated. They probably followed their son John, who married Mary Huey in Jay County in 1848 and set up housekeeping there. Peter Bryan [Sr] purchased 80 acres of land in Jay County on 19 September 1850 from Chris Huey. Most of the Bryan family moved to Indiana soon after. 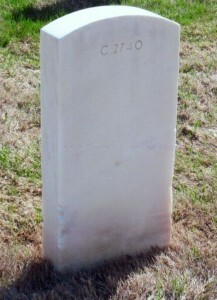 Peter Bryan [Sr] died there in 1854, leaving his widow Mary and six children behind. I am related to Hallot several different ways due to the Bryan/Huey intermarriages. Hallot was my third great granduncle [common ancestors Peter & Mary Huey Bryan]; my first cousin five times removed [common ancestors Jonas Huey & Unknown]; and my second cousin five times removed [common ancestors James Huey & Elizabeth]. 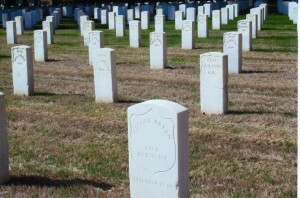 A big THANK YOU to one of my patients who took these photos for me at Memphis National Cemetery a few weeks ago while on vacation. 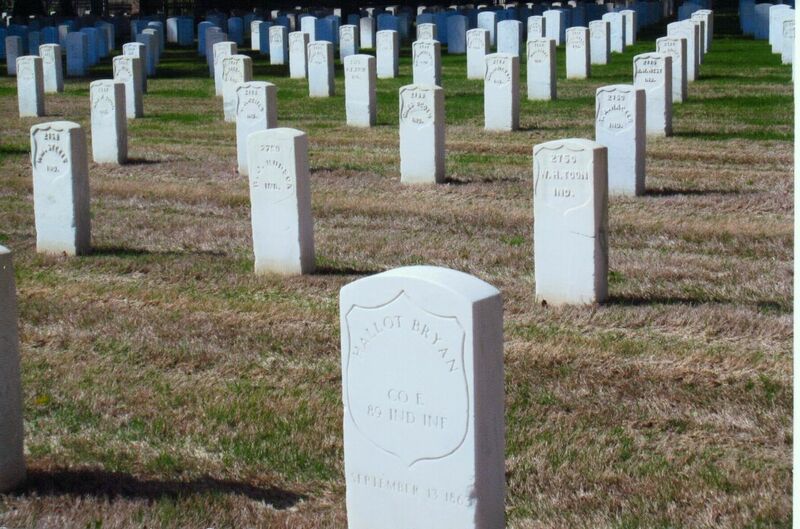 Coming up Friday: Private Hallot Bryan’s Civil War service. 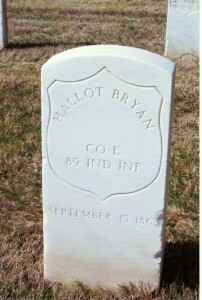 Compiled Service Record, Hallot Bryan, Pvt., Co. E, 89th Indiana Infantry; Record Group 94, National Archives, Washington, DC. Biographical and Historical Record of Jay and Blackford Counties, Indiana (Chicago : The Lewis Publishing Company, 1887), 899. Peter Bryan estate, loose papers, Box 8, 1854, Jay County Historical Society, 903 E. Main St, Portland, Indiana. 1830 U.S. Census, Madison, Licking County, Ohio, p. 415, line 14, Peter Bryan; digital image by subscription, Ancestry.com (www.Ancestry.com : accessed 25 May 2014), from FHL Film 0337945, from NARA Series M19, roll 134. 1840 U.S. Census, Monroe, Putnam County, Ohio, p. 338, line 2, Peter Bryan; digital image by subscription, Ancestry.com (www.Ancestry.com : accessed 25 May 2014), from FHL Film 0020174, from NARA Series M704, roll 422. There was a boundary Change in 1848. 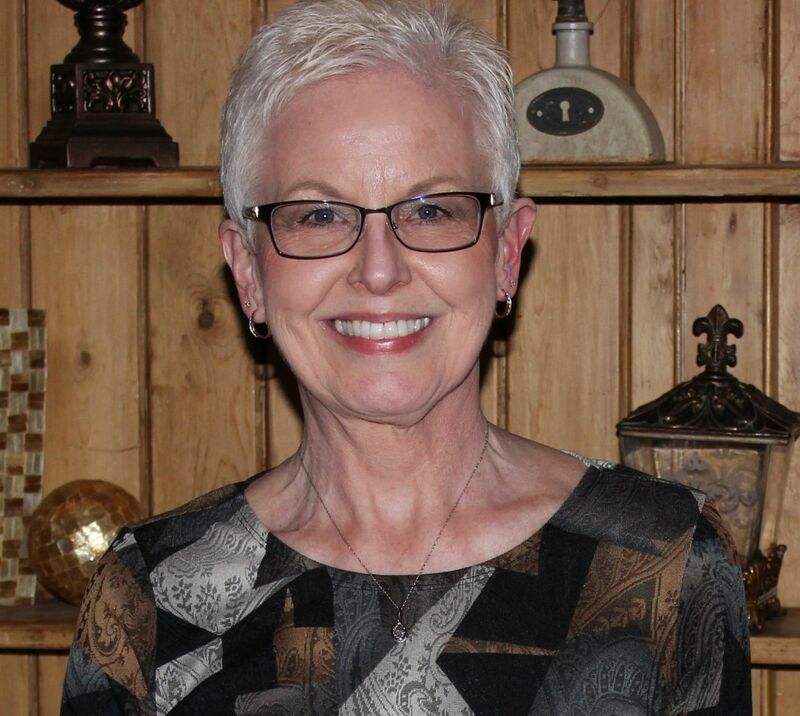 Monroe Township was transferred from Putnam County, Ohio, to Allen County, Ohio: https://familysearch.org/learn/wiki/en/Allen_County,_Ohio. 1850 U.S. Census, Monroe, Allen County, Ohio, p. 369B (stamped), p. 738 (penned), dwelling 1924, family 1924, Peter Byan; digital image by subscription, Ancestry.com (www.Ancestry.com : accessed 25 May 2014); from NARA Series M432, roll 657. Jay County Indiana Land Deeds, Book F: 476, Recorders Office, Portland, Indiana. 1860 U.S. census, Bearcreek, Jay County, Indiana, p. 75 (penned), dwelling 531, family 537, Hallet Bryan; digital image by subscription, Ancestry.com (www.Ancestry.com : accessed 25 May 2014); from FHL microfilm 803269, from NARA microfilm M653, roll 269.